Don't get water in your eyes! 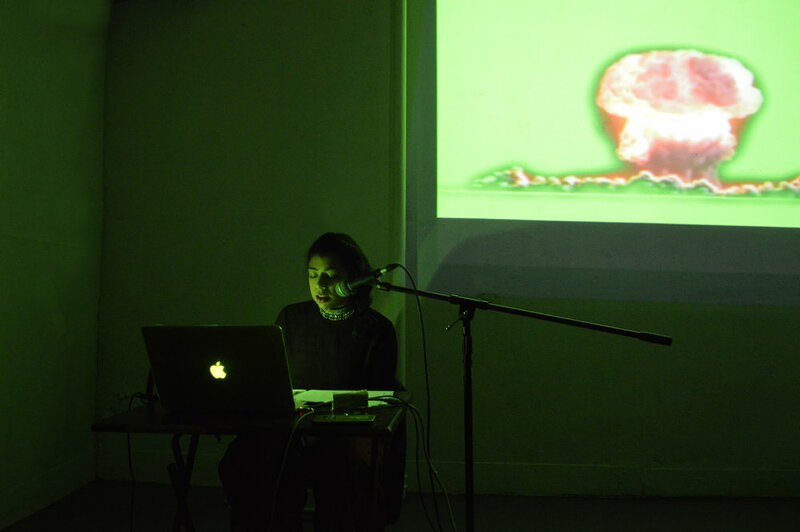 Atomi Daamaki Wali Mohabbat (The Atomically Explosive Love) is a four-chapter animation/ lecture performance that chronicles the history of nuclear power in Pakistan through state and familial archives. It intersects specific events, starting with the successful nuclear tests performed in the 1990s. The research dissects a military monument erected by the state, Chaghi Monument Hill, as a motif, location, and historical moment that is consistently reconstituted within religious and state logic, and in digital space. Using flora as a metaphor for embedded violence, the animation negotiates forms of hegemonic, historical retellings through a narration by a fictional, populist, contemporary Urdu poet.